By Debadityo Sinha, Vindhya Bachao. Another 1320 MW thermal power plant is coming up in Mirzapur, in the state of Uttar Pradesh in India. The Indian company Welspun’s investment of approx. 1400 million USD in the plant is part of the national path towards an increase of use of coal for energy generation purposes in the subcontinent. As per the draft of the 12th Five Year Plan of the Planning Commission of India, the target of addition capacity of 88,425 MW is proposed, out of which 71,228 MW of the power will come from thermal power plants based on coal, lignite and gas. 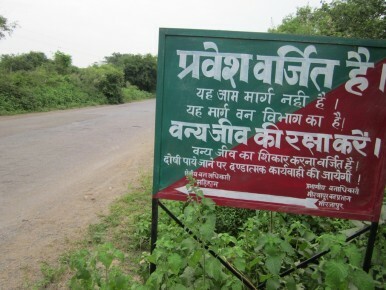 What concerns the environmentalists at Mirzapur is the impact due to the thermal power plant which is not just restricted to the project site only but the transportation of coal, laying pipelines, impact from withdrawal of water from a river etc which goes unaccounted in the Environmental Impact Assessement. The project is now awaiting Final Environment Clearance from the Central Government. The newly formed government renamed Ministry of Environment and Forests (MoEF) to Ministry of Environment, Forests and Climate Change (MEFCC) indicating that it is not ignoring the climate factor in its decision making process. There is much hope from our new Minister Shri Prakash Javadekar chairing the MEFCC, who also happens to be the first president of GLOBE India (Global Legislators Organization for Balanced Environment). As he promised to the nation that he is going to treat jungles as wealth generating heritage of the country without exploiting it, much will depend on him how he drives the nation towards sustainable growth and how he will deal with such conflicts. Mirzapur has a long historic importance which is amplified by the nature’s overbearing gift in the form of beautiful waterfalls, forests and the rich biodiversity of the Vindhyan range and by sacred religious pilgrim sites. Local inhabitants, as well as environmentalists and students, are strongly mobilizing against the plant. Not just because of its dangerous impacts but also for the countless illegalities behind the land acquisition process and its social impacts. Last year, Registrar of Banaras Hindu University also demanded shifting of the project site citing the impact on health and drinking water resource of its newly built South Campus situated near the proposed power plant. Within 6 months from the official representation to MoEF (now MEFCC), the campus mobilized and sent a petition signed by more than 550 students to MoEF, showing strong protest against the company. What is so depraved about the project and why is there disagreement between the company and locally affected people? What had the company done which make them so much hated? Let’s have a look on some important issues surrounding the Welspun Controversy. In the documents submitted to Ministry of Environment and Forests, the project proponent reported that 98.2% of the land acquired (875 acres in total) for the project is barren. But what the company Welspun has showed as barren land is claimed to be fertile agricultural land by local farmers. The company also stated that the land is directly purchased by mutual agreement because of which it does not attract the provisions of Resettlement and Rehabilitation policy. Land owners and farmers are likely not to get any compensation or resettlement lots. ‘Ye mote mote dhaan ugte the yahaa! Tamatar, aaloo, daal, sabjee sab cheez hota tha par ab yahaa kuchh nahi hai…’ (Thick Rice used to be produced by this land! Tomato, Potato, Pulses and vegetables used to be produced here, now nothing is here), reminds Ramagya Singh with tears in his eyes. Those eyes were sad, painful and immersed in tears full of frustration and anger. It is widely claimed by local people and media that the company took help of a local Highbinder to first acquire the land in some other’s name and then acquired the land from those people in name of several companies in much higher price. Ramagya Singh and several others, whosoever dared to refuse giving their land to the company, were humiliated and tortured to create all types of tension. Villagers were forced to take back their complaints against the company. But the controversy did not stop there. The accumulated frustrations among the farmers resulted into several sporadic protests against the company, in some cases resulting into violence and blockades. ‘If you closely watch the cruelty by the company to procure land and take over the protests, it will remind you of the British time as we have read in history’, says 54 years old Shiva Kumar Upadhyay, a senior journalist of Mirzapur and Co-Founder of Vindhya Bachao (Save Vindhya) movement. The Public Hearing is a very important process required under EIA Notification (2006) for appraisal of any project requiring EIA which is not located in notified industrial area. The provisions under the EIA clearly states that proper publicity of public hearing is needed and concerns raised by public are meticulously registered and addressed by the project proponent. The public hearing for the thermal power plant was not publicized appropriately, its access was guarded by armed Policemen and many groups of people were reportedly brought in by buses from far off places just to complete the formality. The few local participants protested and were thrown out of the site. ‘We were not aware of the public hearing being held just next to our house. When we went there, we were not allowed to enter by the guard’, said a villager who did not want to be named. In a strategic move to get consensus for the project, the company has also been getting signatures from the local residents in favor of the plant. The organization Vindhya Bachao has been opposing the plant since it was first proposed. During our site visit conducted on 15th September, 2013 we concluded that the project site qualifies to be termed as forests. There were lush green grasslands and few deer species could be observed behind the bushes. We had a conversation with a guard present there who was anywhere around 60 years and was given this job after he gave up his land for a very meager price. He revealed critical information about wildlife which the company concealed in the EIA report. He told us that sloth bears, chinkara (Indian Gazelle), leopard, nilgai (bluebull), monitor lizards, snakes and other herbivores can be sighted regularly inside the project site. He also informed that fencing is being done by putting stones alongside the project boundary so that animals could not come inside, but they seem to find a way in spite of that. Not only will the project completely destroy the forest inside the project site, but the impact on forest is anticipated up to 25 kilometers as new railway lines and big pipelines will be laid to transport coal and water respectively. Both the railway line and pipeline will cut through several forests; most of them notified reserve forest as well. Precisely these connections are not to be found in the Environmental Impact Assessment. What could be worse for an EIA when you get to know that there is no mention of a river, tourism sites like waterfall which will be directly affected by the project? Some 2700 acres of University campus also went missing in the EIA. This becomes particularly interesting when you come to know all these sensitive sites are within 10 kilometers of the project for which the EIA report has been prepared. While Upper Khajuri reservoir is proposed to be used for the thermal power plant, at the same time 4 million liters of water per hour is proposed to be pumped, there is no mention of the fact that the Upper Khajuri dam is built on river Khajuri; so what will be the impact on the river downstream? There are three waterfalls: Wyndham fall, Kharanja fall and Khajuri fall which will be affected. Wyndham fall is the major tourist attraction of Mirzapur district and it sees a large number of visitors from far off places. The EIA does not even mention the presence of them while they will be severely affected. It is also worth considering that to meet the water requirement for the project, water from river Ganga is proposed to be pumped and stored in the reservoir. River Ganga is one of the severely polluted rivers of India and what will be the impact of the polluted water on the river and human health is yet to be assessed. In absence of coal and water, will Modi government still give it green light? While the water is to be transported from river Ganga to the project site via 31 Km pipeline passing through several forests, the coal availability is an even bigger question. The project proponent while applying for environment clearance said coal will be sourced from mines of Northern Coalfields Limited in neighboring district Singrauli. But now, the coal is proposed to be imported from Indonesia, which will be first transported to Dhamra Port in Odisha via sea, and then to the project site which will involve transportation by railways spanning a distance of around 1000 Km. Unlike mining projects, thermal power plants are not site-specific and availability of coal and water should be considered before proposing it. But this is not the case for the Welspun’s Thermal Power Plant in Mirzapur. Originally started as Textile Company and having their manufacturing units in Gujarat the company Welspun has seen its major growth in Gujarat and subsequently Rajasthan and Madhya Pradesh where it has invested substantially in coal based energy and well as solar energy. Welspun’s other coal based thermal power plant in Katni, Madhya Pradesh has been in headlines after suicide of farmers and notice of High Court to the company for the alleged ghost public hearing. It is very much clear from the track record that Welspun neither has the experience to run a thermal power plant and nor does its way to acquire land is humanly acceptable. Owing to its Gujarat connections, from where the newly elected Prime Minister of India comes from-their friendly relation with BJP is evident from the support they have got from Rajasthan and Madhya Pradesh, both BJP ruled states. The constituency from where PM Narendra Modi is elected happens to be the friendly neighbor of Mirzapur. Conservation and rejuvenation of Ganga has been the prime manifesto during the election campaign in India, which got Mr. Narendra Modi an unexpected support from Uttar Pradesh, the result of which he came in full majority marking a historical win! Modi led BJP government is also known to be advocate of solar power and figures indicate that Gujarat and Rajasthan has been the fore runner in the country in terms of solar energy production. Will he allow such projects and will he punish such companies who are openly flouting regulations for quick clearances?